God made me realized how blessed I am. I have a good, loving husband who is there for me. Making me feel so loved and special. I would like to return the sweet favor by letting you know how much you are appreciated and loved. 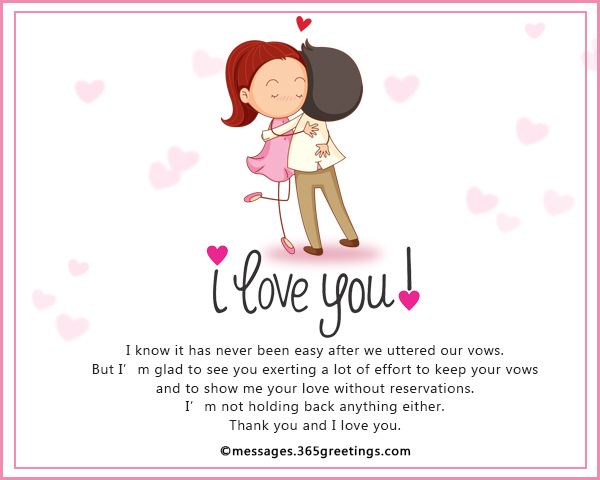 You can also send these love SMS messages for husband and love greetings as love SMS messages for husband, love email wordings and love text messages for husband. 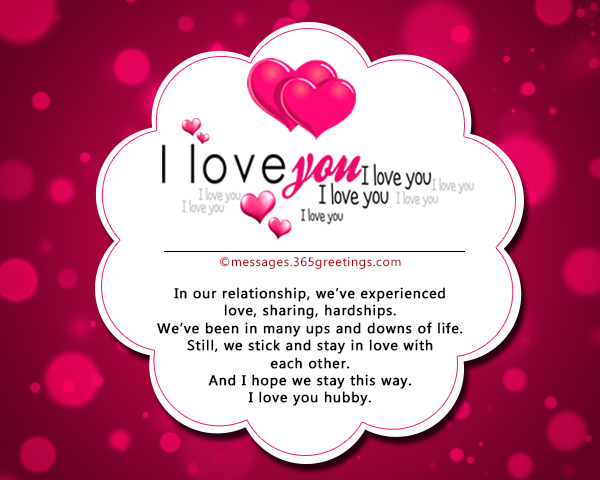 You can use these love messages for husband as love birthday messages for him. Feel free to share them on your social media profiles as well. I will not think twice to love you over and over again. I will still choose you to be my lawfully wedded husband. Someone to support, to love, to care. 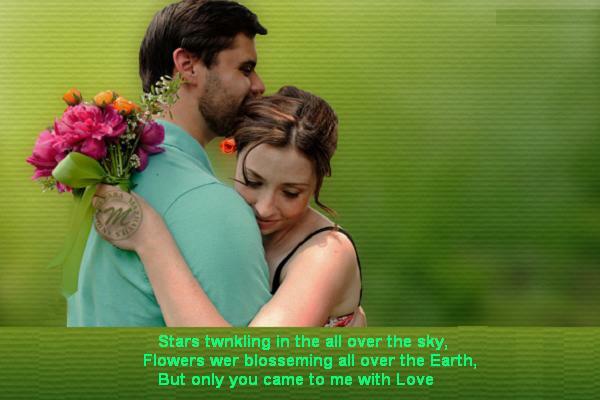 For everything you’ve done and will do for me is to love you eternally. I don’t need a prince from fairy tale. Why would I wish for those if I have all of them wrapped in one? And he’s a real one. 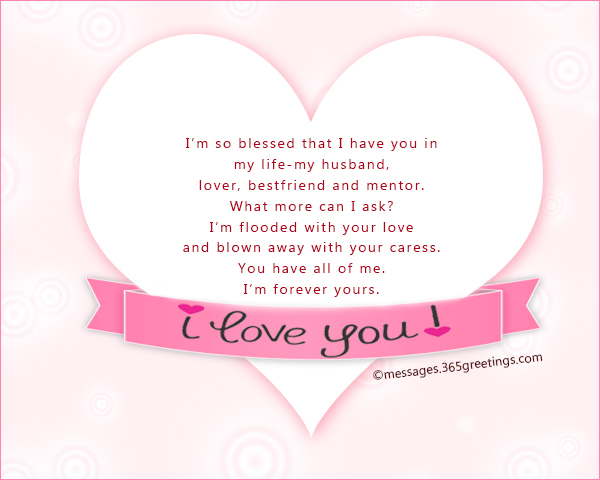 I love you so much, my husband. In our relationship, we’ve experienced love, sharing, hardships. We’ve been in many ups and downs of life. Still, we stick and stay in love with each other. And I hope we stay this way. Thank you for the love you have given me. I will always be grateful. I love you. And I’ll always thank Him for doing so. We are tired the whole day and have no time to connect. I want you to know that I am happy that we work hard for our family. Times are hard but it become easy when shared with you. Thank you for just being there and continue caring for us. I’m glad I chose to walk with you. an extra mile with you as I hold your hand. Everybody has a nice love story to tell. I’m happy to write mine with you. I’m glad I listened to God’s voice of choosing you. I know I’m perfectly your missing rib. They say that tingles would fade after quite some time. You’d expect bigger fights and cold wars in the line. I’ll stick with you because I love you. But it doesn’t mean I love you less. And an exemplary father to our kids. Growing old with you is the sweetest thought my mind has ever conceived. And I love the feeling. 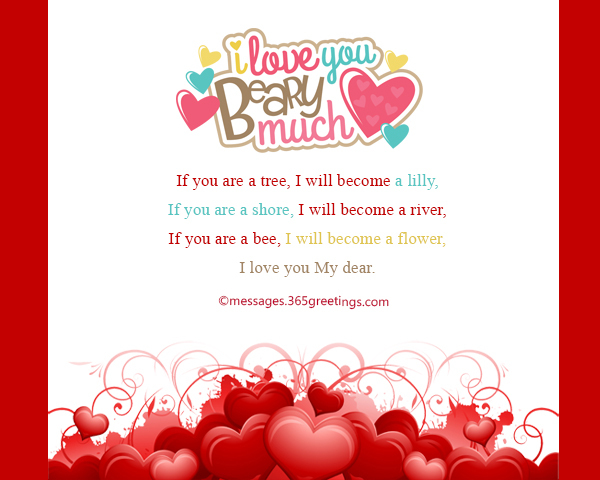 I love you each day. Thank you for your unending love and care. I couldn’t find the perfect words to say. I will never be tired of loving you. my husband, lover, bestfriend and mentor. I’m flooded with your love and blown away with your caress. You have all of me. Thank you for being strong and loving in our marriage. And thank you for dancing this tango with me to make this marriage work.